YuppTV wishing you all a very Happy Diwali. This is well known fact that so many Indians are currently living outside India. Needless to say they all miss their country and exciting festivals as well. But outside India, people might miss the festivals like they enjoy it in India. This Diwali YuppTV is trying to give more happiness to our NRIs by proposing an exciting offer on Indian TV Subscription, so instead of using firework to celebrate Diwali and pollute air, watch Indian TV channels and enjoy special Diwali shows and movies with your family. Subscribe to YuppTV yearly package and get free 2 month subscription free with free movies for 12 months. Subscribe to YuppTV to get upto 60% off with $10 discount and free movies for one year by using Coupon Code “DIWALI10”. 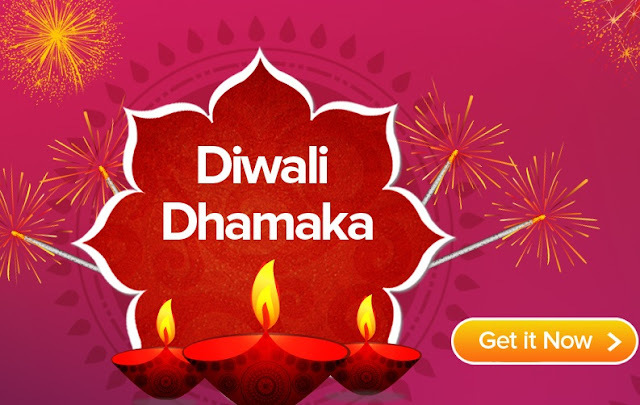 To watch Indian TV channels during this Diwali, you can subscribe these special Diwali packages that are specially designed for our customers as a Diwali Gift. You can simply subscribe you favorite package and can enjoy special Diwali TV shows, and movies with your friends and loved ones that too having no complications at all. Good thing about YuppTV is that you can enjoy your favorite shows and live TV channels, on almost every device. You can avail this Diwali special YuppTV package to celebrate this Diwali with your friends and family watching Indian TV shows and movies live and surely you will have a great fun in a really simple way. For more detail you can call @YuppTV.